Today, we have Kassandra Lamb sharing her remarkable transformation from psychotherapist to mystery writer. I think I was eleven the first time someone said I should be a psychologist when I grew up. I was stunned. “Why?” I asked. “Because you’re a good listener,” my friend replied. I shook my head in confusion. I was the kid whose older brother had dubbed Chatty Kassie. Indeed, everybody teased me for being a non-stop talker. How could I be a good listener when I never shut up? From middle school on, I had dabbled with writing poems and short stories, losing myself in my own imagination. I shudder now at how awful those early writing attempts were, but still, I tried. In high school, I toyed with the idea of being a writer, or perhaps a translator of others’ fiction. I loved both reading and languages, especially French. But parents and teachers told me those pursuits would not earn a living wage. Writers and translators both needed a day job. By the time I was nineteen, a sophomore in college, I had heard the “you should be a psychologist” at least thirty or forty times. But I was bent on being an elementary school teacher. Looking back, I’m not really sure what I was thinking. After a couple more misguided turns down blind alleys, I finally listened to the advice of that eleven-year-old friend. I ended up in graduate school, studying to be a psychotherapist. In the mid 1980’s, I started a private practice, and life was good. I loved my family, my home, and, much to my surprise, I loved my work. Despite my chatty tendencies, I was a good listener. I heard things that others missed. I got where my clients were coming from, and reflected back to them what they needed to hear to move to a better place. During my thirties and forties, as I raised my child and loved my husband and helped my clients get sane, I occasionally worked on a novel or two. Somehow I never made it past the fifth chapter. But my need to write was being satisfied in other ways. I wrote journal articles, edited a professional newsletter, wrote articles for a self-help magazine for trauma survivors (my specialty as a therapist). I honed my writing skills without even realizing I was doing so. After twenty years as a psychotherapist, I burned out. What got to me more than anything else was the weight of the job. I knew that I wasn’t responsible for my clients’ lives or well-being. They were responsible for themselves. I was just the “coach,” as I often referred to myself. But nonetheless, each time I took on a new client I was committing to doing my very best to help them heal the wounds in their psyches and learn to live a mentally healthy life–something they were usually piss poor at which is what had brought them into therapy. Fast-forward through a couple years of angst and I am a part-time college professor, passing on to the next generation of psychologists what I had learned, and easing out of my psychotherapy practice by attrition. By early 2004, I was teaching four days a week and seeing clients one day a week, and my husband was eligible for retirement from his government job. 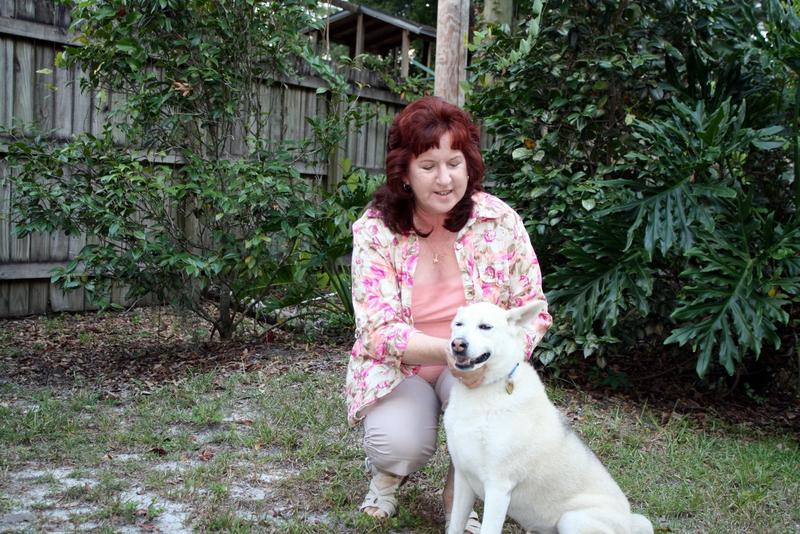 We were ready to implement a long-time dream of retiring to his native Florida! “Getting serious about my writing” was on my to-do list in retirement. But somehow five years went by before that happened. Warning: watch what you say when you talk to yourself, because you never know when God is eavesdropping! I immediately had a new idea for the opening of one of those two novels I’d been writing for years. I sat down at my computer to capture the thought, expecting to spend fifteen minutes tops on the process. Five weeks later I had finally finished one of those novels. I had written like an obsessed person. Because I was an obsessed person. Day and night, I wrote, sometimes until I was so tired my fingers were literally missing the keyboard. Thus was born Multiple Motives, the first novel in the Kate Huntington mystery series. Once my muse was unleashed, there was no stopping her. I wrote the first drafts of four more novels in the next two years, while I was editing and polishing Multiple Motives for publication. Today, my question is what happened to my retirement? 😉 I’ve never worked so hard in my life. But I’m producing two to three stories a year (some of them are novellas). And while a few aspects of this new “act” are annoying (promoting and bookkeeping, for instance), I’m having a blast! 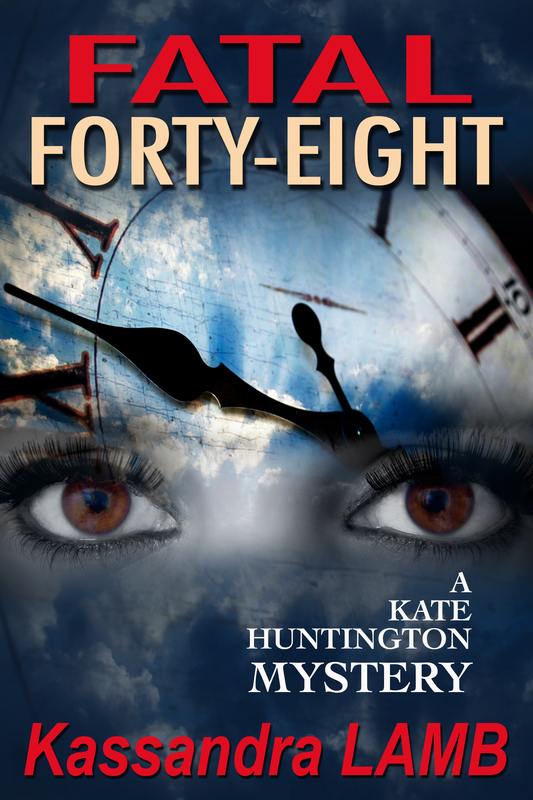 This week, I’m releasing Fatal Forty-Eight, Book 7 in my Kate Huntington series. Meanwhile, I have the beginnings of Book 8 and a 3rd novella languishing in my hard drive, begging me to finish writing them. Years ago, as a joke, I gave my husband a plaque that said: Life is what happens while you’re making other plans. Ha, jokes on me! Fatal Forty-Eight is available for pre-order at half price–$1.99. On November 13, the price goes up to $3.99. 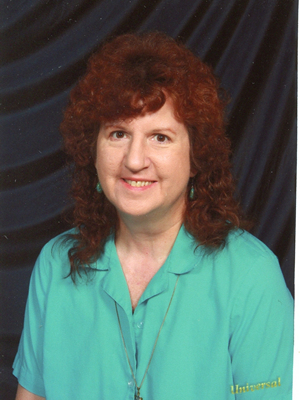 Kassandra Lamb is a retired psychotherapist/college professor turned mystery writer. These days she spends most of her time in an alternate universe with her characters. The portal to this universe (aka her computer) is located in Florida where her husband and dog catch occasional glimpses of her. She and her husband also spend part of each summer in her native Maryland, where the Kate Huntington mysteries are set. Kass, thanks for sharing your inspiring journey. The Kate Huntington mystery series sounds delicious. Congrats on the launch of Fatal Forty Eight. This entry was posted in Guest Blogging, Inspiration, Second Acts and tagged Fatal Forty-Eight, Joanne Guidoccio, Kassandra Lamb, Multiple Motives. Bookmark the permalink. Three cheers for second acts! Kate I love your story, I think good listeners make great writers and you would have had plenty of practice. Good luck with your new career and your novel. Mine is still just a dream away. You inspire me to keep at it and so on with my editing course. I enjoyed learning more about what led you to where you are today. Glad you liked the post, Vinnie. Thanks for stopping by! Thanks for having me come visit at your cyber home today, Joanne!! This is a great post. I share a similar trajectory from mental health to becoming an author. What a rewarding and wonderful ride it has been! Looking forward to opening one of your novels. Gosh I think you need really strong shoulders to take on other peoples serious problems and try to help them out, it must have been so hard not to get emotionally involved. Good that you knew when to change your life. Good luck with the writing. Hey, Rosie. I responded earlier but for some reason the comment didn’t post. I was pretty good at keeping clients’ problems from not becoming my own, but the overall weight got to me eventually. Thanks for your good wishes!! Wow, wish I could write at your speed! Great cover. Best of luck with sales. Thanks, Elizabeth. I wish I could rediscover that early enthusiasm that created those first five books. Now it feels like I’m moving at a snail’s pace. But I’m moving. Guess that’s what counts.